In most major cities in North America, there are ethnic neighborhoods that reflect the history of immigration. In Japan, it is rare because, for such a long time, the country was completely closed to the outside world. Even in modern times, they take in very few migrants and the amount of foreigners residing in Japan is very small compared to other countries. That is what makes the top of the bluff overlooking Yokohama Bay unusual. 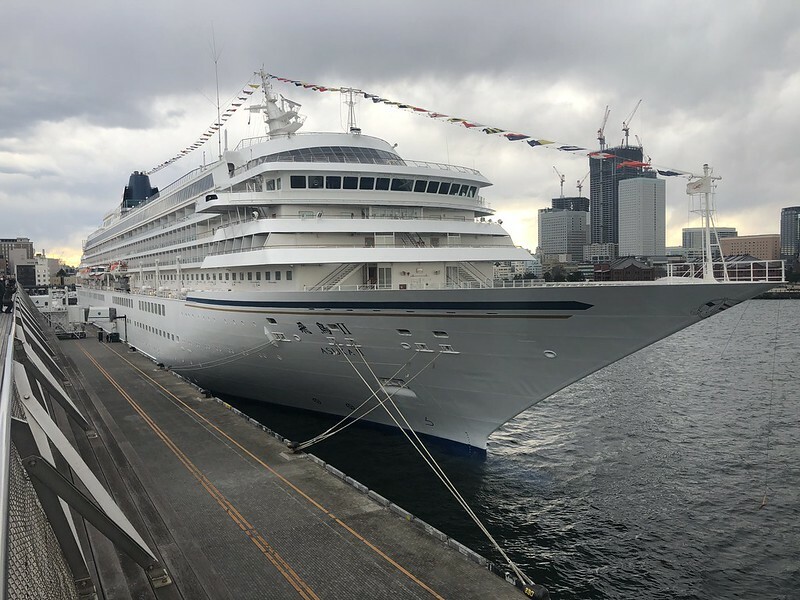 Yokohoma was one of the first ports opened to foreigners after Perry’s black ships ended the Tokugawa blockade of Japan. The Western expatriate workers in the port settled in Yamate, the neighborhood atop the bluff. The Chinese immigrants settled in the swampy lowlands. See Thursday’s post on Chinatown. Walking around Yamate is like leaving Japan. The architecture is Western and the big trees and historic buildings, make it feel European. 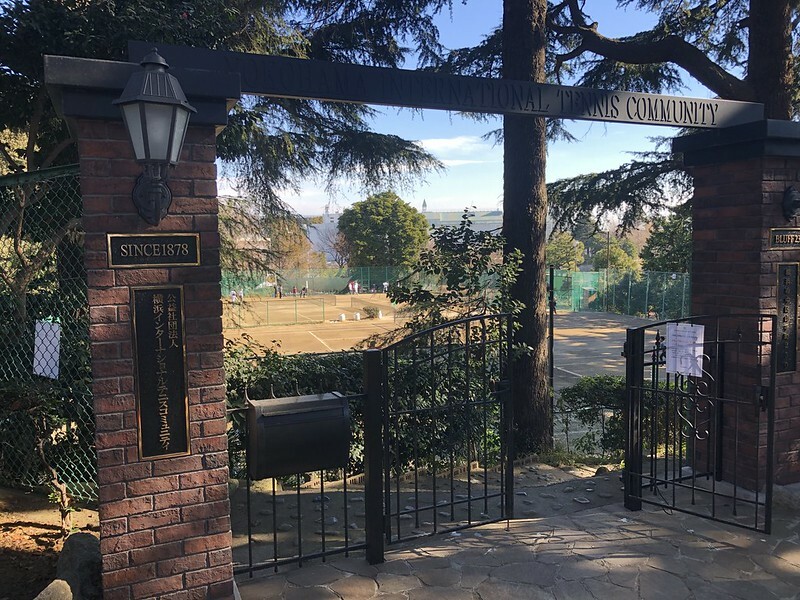 I visited the old British athletic club, where tennis was introduced to Japan. 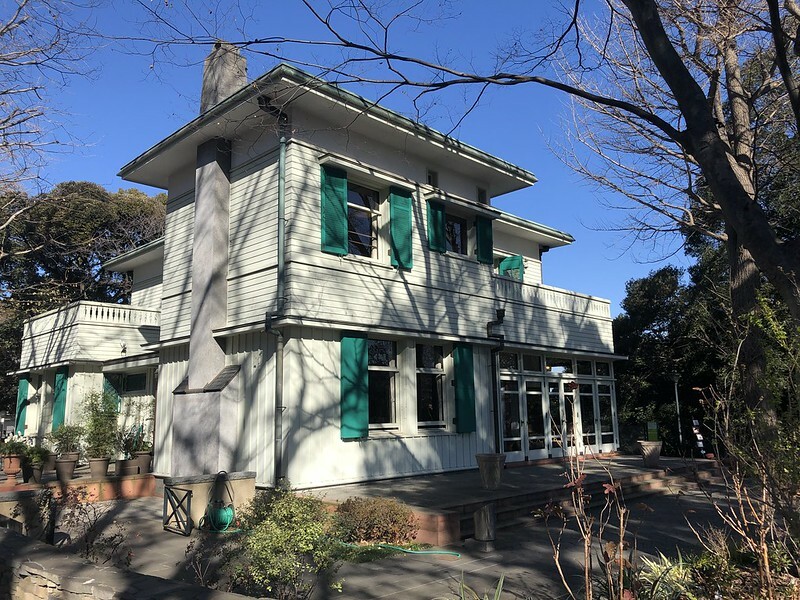 It is now the Tennis Museum of Japan. An appropriate pilgrimage on Australian Open finals weekend. They still have lots of courts. Erected by the foreign and Japanese subscribers to the honored memory of the pioneers who laid the foundations of Yokohama as a port of trade nearly 70 years ago. Also in sympathetic remembrance of the foreigners, both known and unknown, who lost their lives in the Great Kanto Earthquake of September 1, 1923. and of other foreign residents whose names are not recorded in the surviving archives of the cemetery. May they rest in peace, until the day breaks and the shadows flee away. The Great Kanto Earthquake of 1923 was horribly destructive. Over 150,000 people died. Many from fire, as it the 4-minute shaking took place at lunchtime, and back in those days, many people cooked over fire. Yokohama was absolutely destroyed. It was horrible to read about the vigilante gangs that murdered Koreans because of unfounded rumors of poisoning wells and looting stores. In the chaos that follows and earthquake and the unstable minds of people who suffer something like that, I can see why things like that happen. Officials eventually restored order. It must have been a powerful quake because even the expensive homes on the bluff were destroyed and many foreigners died. One good thing to come out of the quake was Yamashita Park. The waterfront was reclaimed with the rubble from the earthquake and a Scottish guy, convinced the government to make it a park. 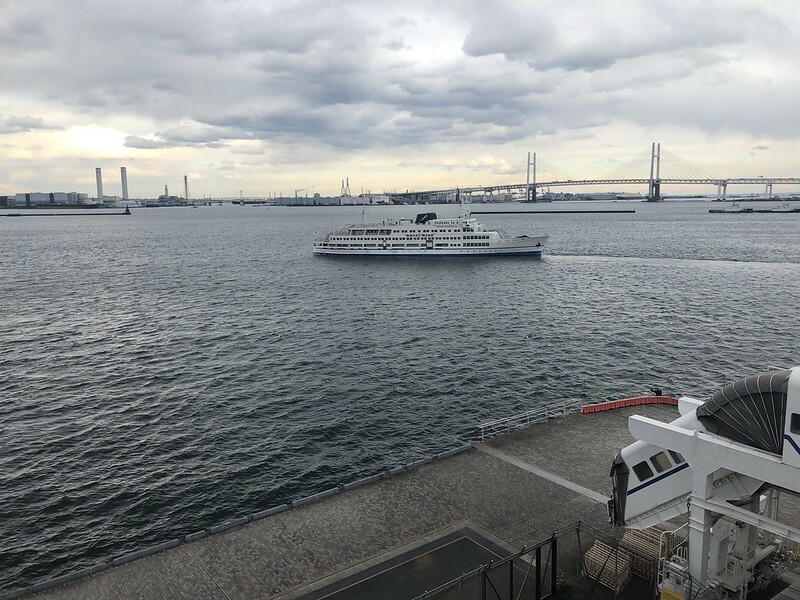 It really is a beautiful spot and one of the few tourist friendly port areas in Japan. I went for my daily exercise in the park to take in the sea views and see the ships. They converted the old warehouses (made obsolete with the invention of the container) into shops and restaurants. The whole area is just a nice place to spend an afternoon! I would love to go back in time and be there at the beginnings of the foreigners coming to Yokohama. It must have been even more distinct place than Japan of today. I also was thinking a lot about the Great Kanto Earthquake. I wonder when the next big one will come to Tokyo.